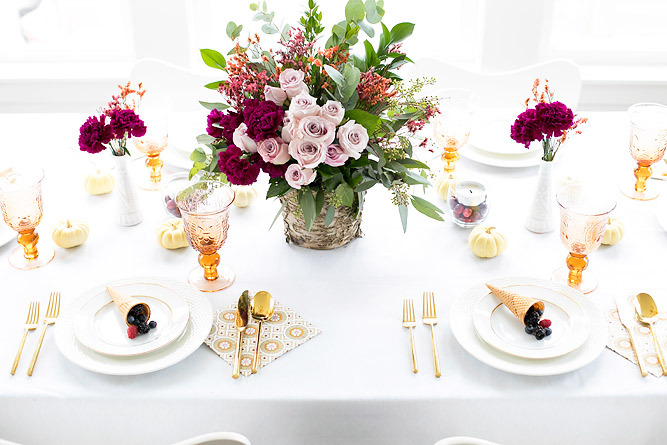 Florals with a Twist: Setting a holiday table isn’t complete without florals. 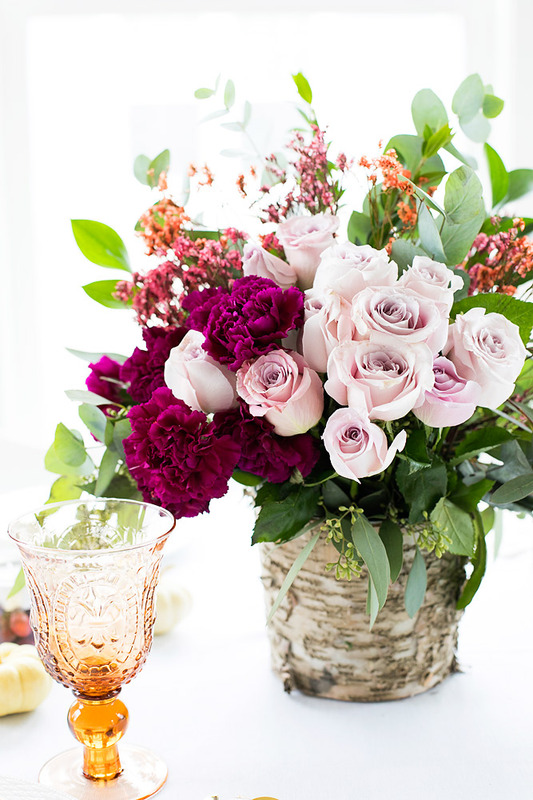 Try for some beautiful blooms of various colors. 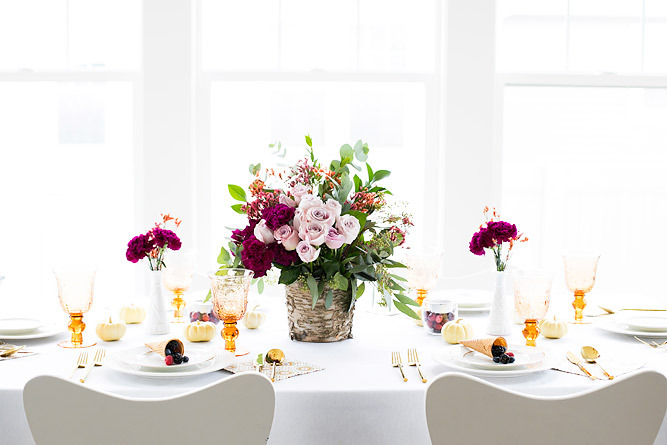 Some pale purple roses, and carnations that pop! 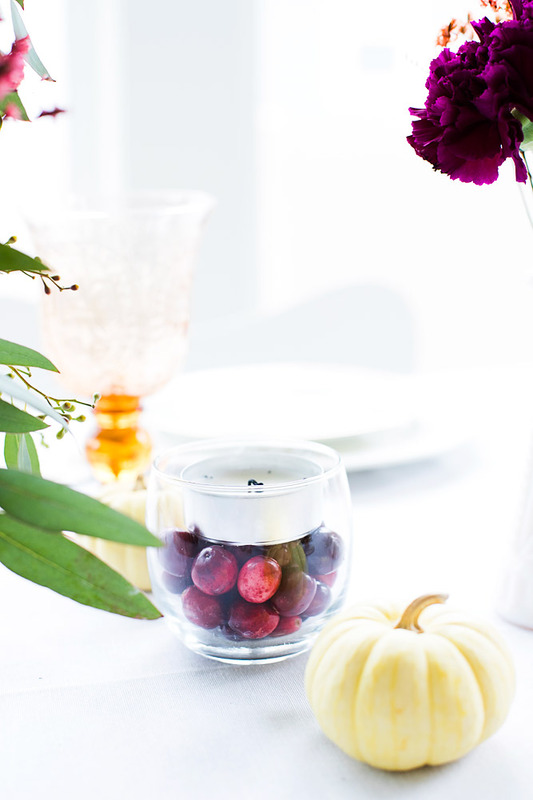 Little details like using cranberries in the bottom votive candle holders keep with the traditional Thanksgiving table, but also gives it a nice touch! 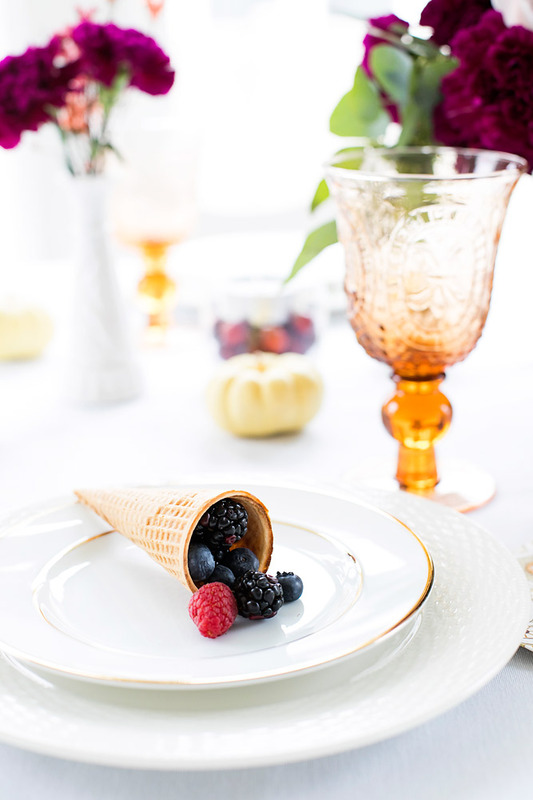 Using sugar cones filled with fresh berries as a eatable cornucopia are the perfect conversation piece, and starter to the big feast! Not to mention, kids love it! 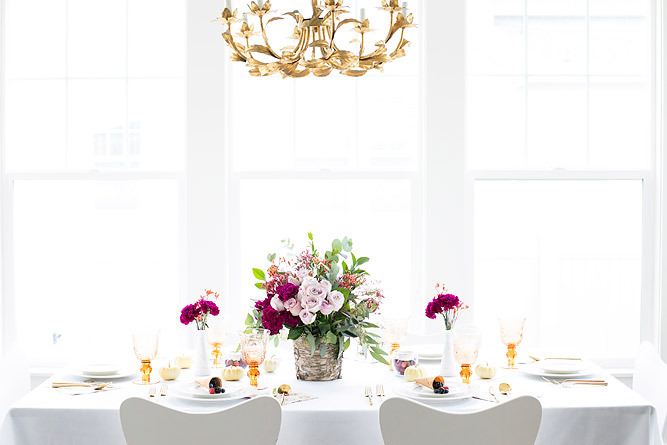 Unexpected Color Palettes: I love using unexpected color palettes that just work! 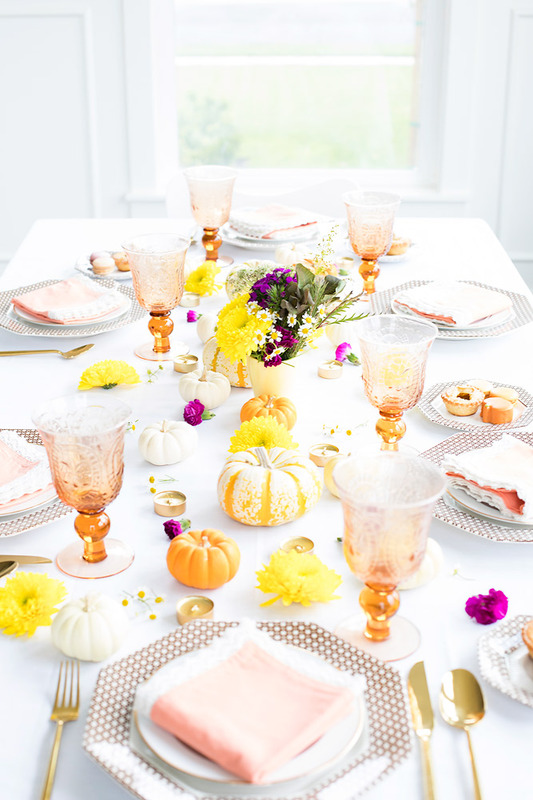 This table doesn’t scream fall decor, but with the addition of mini pumpkins you know that it is intentional! 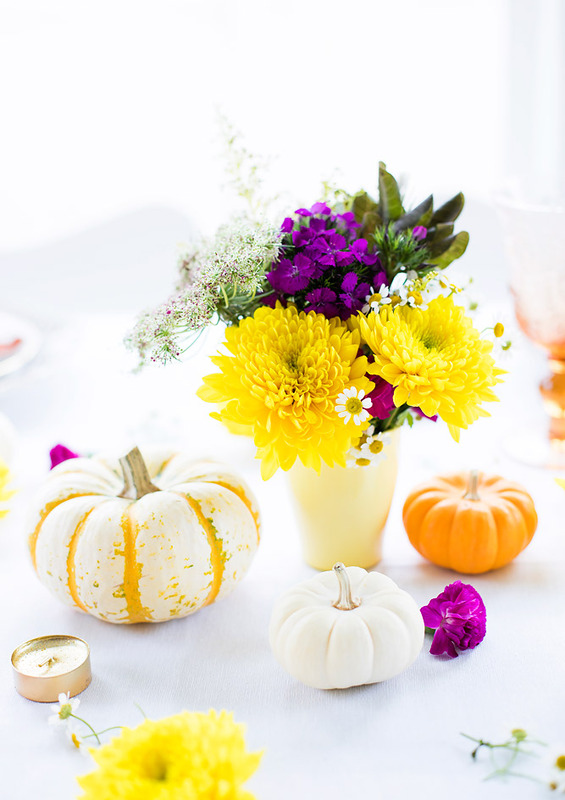 I loved adding little fresh flowers to the table along with glittery golden mini volitive candles. 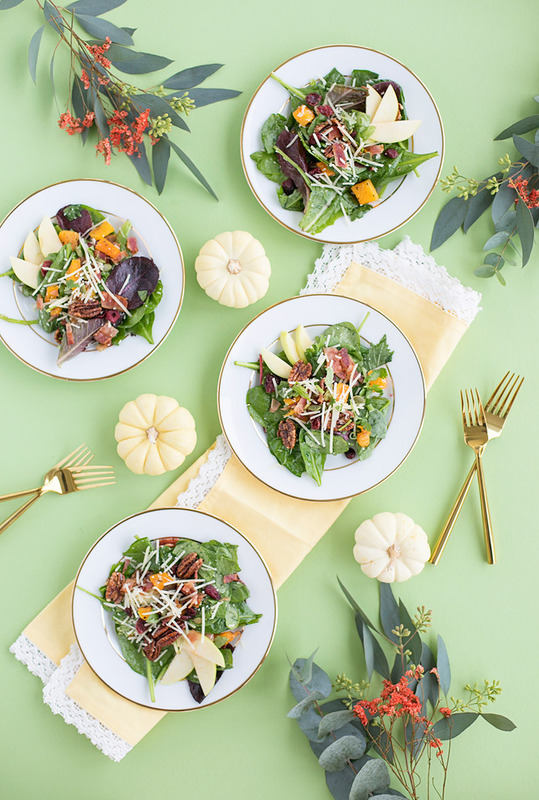 Solid Backgrounds with Fresh Foliage: Having a solid background that matches with the foliage adds a little something of interest to the table. 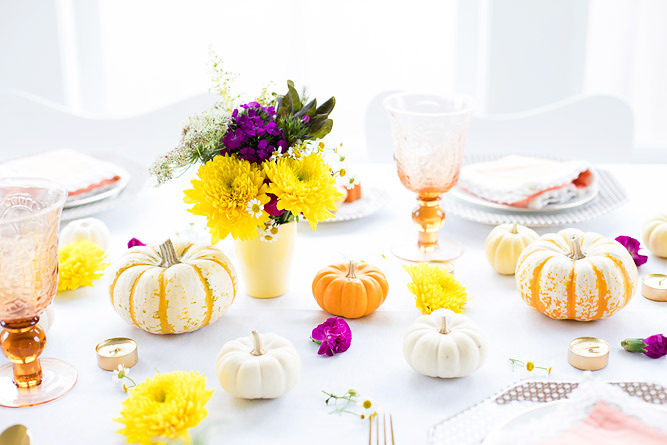 Paired with some plain white mini pumpkins, it keeps the table looking chic and simple! 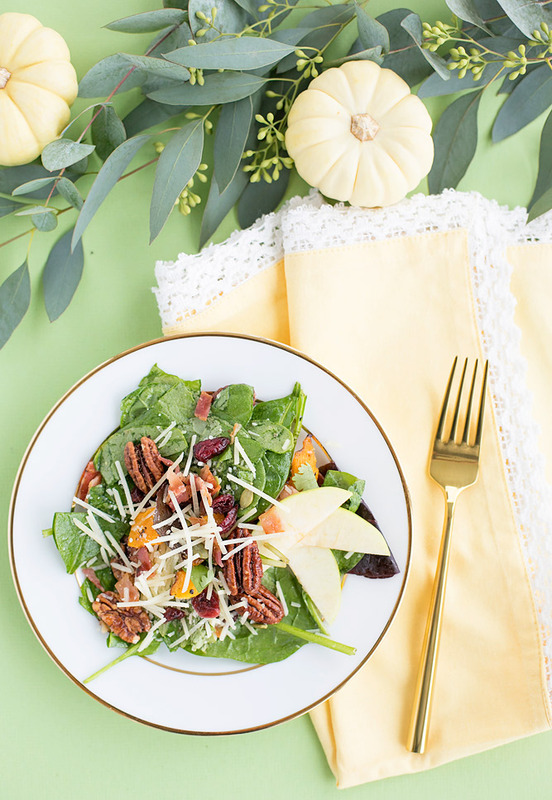 Don’t forget to check out my perfect fall salad recipe while you are at it! 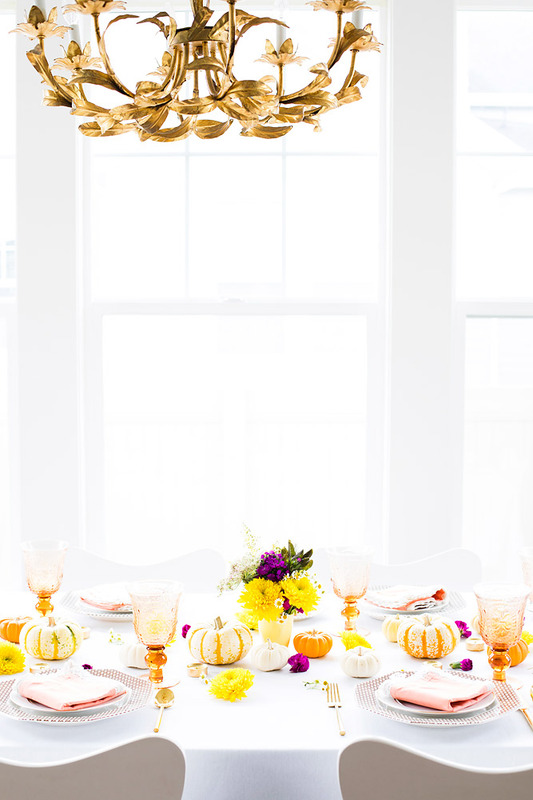 Now, who is ready to start setting the table for Thanksgiving?! 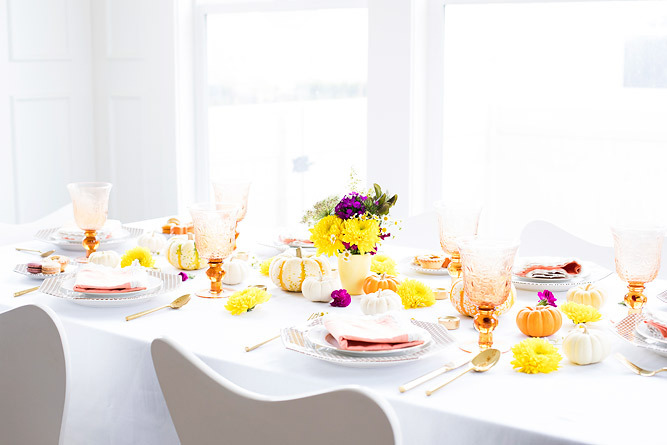 I just love a nicely set table! 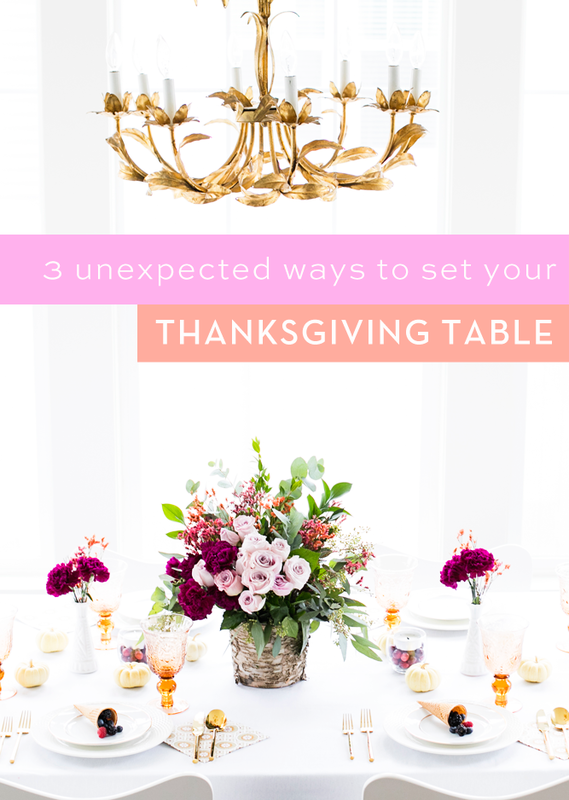 And, using unexpected elements can really bring your table from dull to wow! 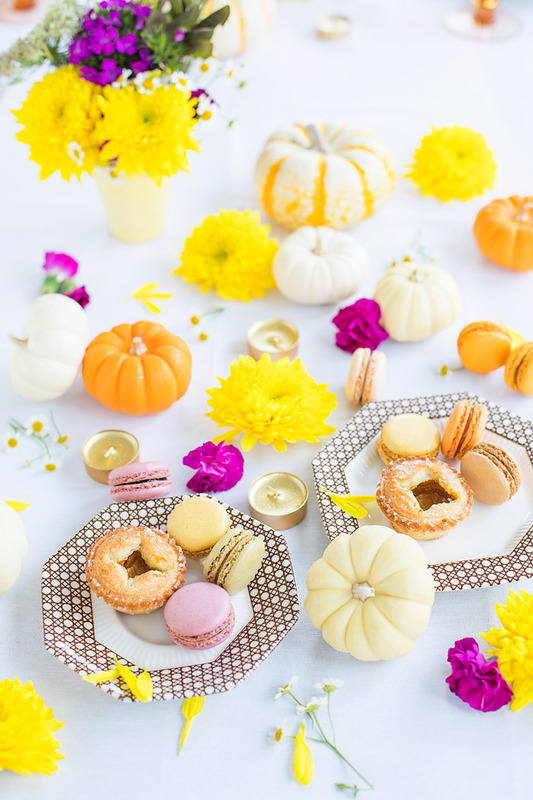 Happy Thanksgiving/ Friendsgiving / All the celebrating! Cheers!